As a regular traveler, you want a credit card that gives you the biggest bang for your buck. If you decide that will be a hotel-branded credit card, it begs the question — which one should you apply for? Not all hotel credit cards are created equally, so you need to decide what’s most important to you: a generous sign-up bonus or welcome offer; the largest number of points per $1 spent; a strong portfolio of hotel brands; flexible ways to redeem points; upgrades and other hotel-related perks; and instant elite status. In this round-up, we check in with each card and unpack their features, good and bad, to help you make the best decision. We also look at two travel-branded credit cards that give you more flexibility and options. What we like: This rebranded Starwood card’s sign-up bonus is Limited Time Offer: Earn 100,000 Bonus Marriott Bonvoy Points after you use your new Card to make $5,000 in purchases within the first 3 months. Offer ends 04/24/2019. You can use those bonus points at 6,700 participating hotels across 29 brands worldwide under the Marriott Bonvoy program. Cardmembers earn Earn 6X Marriott Bonvoy points on eligible purchases at participating Marriott Bonvoy hotels, 3X Marriott Bonvoy points at U.S. restaurants and on flights booked directly with airlines, and 2X on all other eligible purchases.. The card gives you a free award night — at or below Category 6 hotels equal to 50,000 points — after every anniversary. You can transfer the points you earn on the Marriott Bonvoy Brilliant™ American Express® Card to more than 40 global airlines, plus you get 5,000 points for every 60,000 points you transfer into airline miles. You can also use points for exclusive experiences, vacations, airport lounge access, merchandise or to share with family, friends and charities. Perks with this card include a $300 yearly statement credit for purchases at participating hotels; automatic Marriott Bonvoy gold elite status; free in-room premium internet access; a Priority Pass Select airport lounge membership; up to a $100 credit to cover enrollment fees for Global Entry or TSA Precheck; and free Boingo land-based Wi-Fi covering up to four devices. The Marriott Bonvoy Brilliant™ American Express® Card also comes with the benefits you’d expect from American Express, including roadside assistance, car rental loss and damage insurance, travel accident insurance, baggage insurance, access to a premium Global Assist hotline, extended warranty, return and purchase protection and access to ticket presales and cardmember-only events. Things to watch out for: The card comes with a $450 annual fee. It doesn’t come with travel perks like trip delay or cancellation insurance, and you may not want to spend $75,000 a year to get Marriott Bonvoy platinum status. The information related to the Marriott Bonvoy Brilliant™ American Express® Card has been collected by CompareCards and has not been reviewed or provided by the issuer of this card prior to publication. Read our full review of the Starwood Preferred Guest® Luxury Card from American Express. What we like: The card comes with some pretty good benefits for its $89 annual fee. This card lets you Earn 80,000 bonus points after spending $2,000 on purchases within the first three months of account opening plus an additional 40,000 bonus points after spending a total of $5,000 on purchases within 6 months of account opening. You can earn another 5,000 bonus points after you add an authorized user and they make a purchase within the first three months of their account being opened. You can earn an additional 10,000 bonus points after you spend $20,000 on purchases and make one more purchase (after spending $20,000) each account anniversary year. Earn 10 points per $1 spent when you stay at an IHG hotel. Earn 2 points per $1 spent on purchases at gas stations, grocery stores, and restaurants. Earn 1 point per $1 spent on all other purchases. Get a free night at eligible hotels on your card anniversary and a fourth reward night free whenever you redeem points for four or more nights. As a member of the IHG® Rewards Club, you can use points to redeem room nights — from 10,000 to 70,000 points a night — at more than 5,200 IHG hotel brands around the world. You can transfer your points into miles on 39 global airlines. You can also use your points to book flights, hotels and rental cars. The card comes with platinum elite IHG® Rewards Club member status. That gets you a dedicated customer assistance phone number, free room upgrades when available, priority check-in and extended checkout and free premium in-room Wi-Fi. You earn 50% bonus points on top of your base points when booking a qualified hotel stay, and a 20% discount when you spend your points. Perks that come with the IHG® Rewards Club Premier Credit Card include trip cancellation/interruption insurance, lost luggage reimbursement, purchase, price and extended warranty protection and a credit for up to $100 toward Global Entry or TSA Precheck enrollment fees. Things to watch out for: This card offers lower points per $1 spent in popular categories like gas stations, grocery stores and restaurants — and it’s even worse for all travel besides hotels, at a miserly 1 point per $1 spent. Spending $20,000 a year to get 10,000 bonus points on your card anniversary may not be worth it — that total will get you a room at a Candlewood Suites, the brand’s lowest hotel level, in Ofallon, Ill., outside of St. Louis. Remember that free anniversary hotel night? You can only use it in hotels at redemption level of 40,000 points or less, enough for an overnight stay at the Holiday Inn & Suites in Orlando in late October. In addition, you must spend on the card every 12 months or you’ll lose your points. Read our full review of the IHG® Rewards Club Premier Credit Card. What we like: This is yet another card with a generous welcome offer, where cardmembers Earn 150,000 Hilton Honors Bonus Points after you spend $4,000 in purchases on the Card within your first 3 months of Card Membership.. That’s paired with the opportunity to Earn up to 14X Hilton Honors Bonus Points on eligible purchases. It offers higher points per $1 spent in the top categories — travel, dining, supermarkets and gas. Get a free weekend night award every year, and earn another night after spending $60,000 on the card in a calendar year. The card comes with an annual $250 resort credit, a $250 airline credit and a $100 property credit when you book a minimum 2-night stay at participating hotels. Cardmembers get automatic diamond elite status, which nets you a 100% points bonus when booking rooms, upgrades to suites, free breakfast, executive lounge access, free premium in-room Wi-Fi access and a 48-hour room guarantee. The card also comes with other perks, including a Priority Pass Select airport lounge membership, baggage insurance and travel accident insurance, roadside assistance, car rental loss and damage insurance, premium Global Assist hotline, extended warranty, return and purchase protection and access to ticket presales and cardmember-only events. Things to watch out for: The card comes with a $450 annual fee. You can only use the annual reward night on weekends in a standard room, and you may not want to spend the $60,000 needed to earn a second night. Plus, the bonus points you earn don’t count toward elite tier qualification for Hilton Honors. What we like: Up to 50,000 Bonus Points Earn 9 points total per $1 spent at Hyatt - 4 Bonus Points per $1 when you use your card at Hyatt hotels & 5 Base Points per $1 you can earn as a World of Hyatt member The higher points per $1 spent includes local transit and commuting, along with fitness club and gym memberships. Get one free night at any Categories 1 through 4 Hyatt hotel or resort every cardmember anniversary year — and you can get another free night if you spend $15,000 during your cardmember anniversary year. Five thousand points per night covers a standard room in a Category 1 hotel, including many Hyatt Place locations in the U.S. Meanwhile, 15,000 per night can get a standard room at Category 4 hotels, including the Hyatt Regency in several major American cities and even some locations of the Unbound Collection, Hyatt’s boutique brand. You receive automatic Discoverist status with this card, which comes with a 10% points bonus, a free bottle of water in your room every day, a late check-out and free premium in-room internet where available. If you move up to Globalist status, you receive two free United Airlines United Club lounge passes a year. The card also comes with trip cancellation/interruption insurance, baggage delay insurance, lost luggage reimbursement and Visa Signature® Concierge Service. Hilton Honors points can be transferred to 27 global airlines at varying rates. You’ll get 20,000 miles plus 5,000 miles when you transfer 50,000 points into airline miles. You can also earn 500 bonus points and up to 25% off base rates at Avis rental car locations. Things to watch out for: This card has a tiered sign-up bonus that requires you to spend quite a bit to get the max of Up to 50,000 Bonus Points The points per $1 spent on this card is among the lowest offered in the hotel category. The information related to The World Of Hyatt Credit Card has been collected by CompareCards and has not been reviewed or provided by the issuer of this card prior to publication. What we like: This card allows cardmembers to Earn 75,000 Bonus Points after spending $3,000 on purchases in your first 3 months from account opening with the Marriott Bonvoy Boundless™ Credit Card! It comes with a $95 annual fee. Earn 6X points for every $1 spent at over 6,500 participating Marriott Rewards and SPG hotels and 2X points everywhere else. Use your points to book free nights at more than 6,700 hotels and 29 brands worldwide under the Marriott Bonvoy program. Get a free night on your card anniversary that can be used at hotels with a redemption level up to 35,000 points, which covers hotels in Categories 1 through 5. The Marriott Bonvoy Boundless™ Credit Card comes with automatic silver elite status. If you want to go for gold status, just spend at least $35,000 on the card by the end of your account anniversary year. You can transfer your points to more than 40 airlines — and you can even get 5,000 points for every 60,000 points you transfer to airline miles. If you have platinum premier status with Marriott Rewards, you get free MileagePlus silver status on United Airlines. That comes with a 10% bonus when you convert points to miles, free economy plus seating for you and a companion (when available), free premier upgrade on day of departure when available, one free checked bag, premier airport access where available and 7 points per $1 spent when you use the card to book United flights. Perks with this card include baggage delay insurance, lost luggage and trip delay insurance, purchase protection and access to Visa Concierge. Things to watch out for: The perks with this card aren’t as robust as other hotel-branded credit cards, and the points per $1 spent in non-hotel categories aren’t as good as competing hotel credit cards. Read our full review of the Marriott Bonvoy Boundless™ Credit Card. What we like: Earn up to 30,000 bonus points! Earn 15,000 bonus points after your first purchase. Plus, earn an additional 15,000 bonus points after you spend $1,000 on purchases within the first 90 days of account opening. It’s enough for two free room nights at a Wyndham property like the Days Inn in St. Paul, Minn. You earn 6,000 bonus points after your account anniversary every year. Earn 5 points per $1 on on eligible purchases for every participating hotel stay, 2 points per $1 spent on eligible gas, utility and grocery store purchases, and 1 point per $1 spent everywhere else Utilities include telecommunications services, cable, satellite, electric, gas, heating oil and water. You can earn hotel points or earn airline miles for stays at Wyndham properties. Blue and gold members earn 1 mile per $1 spent at hotels; platinum and diamond members earn 2 miles per $1 at hotels. Points earned for Wyndham’s eight airline partners and Amtrak depend on which loyalty program you choose after logging into Wyndham rewards. Perks that come with the card include earning 10 points per $1 spent or 1,000 points on eligible stays, whichever is more; free Wi-Fi, dedicated member services, early check-in/late check-out; 3,000 bonus points; and rental car upgrades at Avis and Budget. Things to watch out for: The sign-up bonus is among the lowest offered by hotel-branded credit cards, although the spending required to get it is also pretty low. You won’t get higher points per $1 spent for groceries when you use the card at Target, Walmart, warehouse clubs and discount stores. Overall, other hotel categories offer higher points in the top categories — this card also doesn’t come with any travel or purchase protection perks. The information related to the Wyndham Rewards® Visa® Card has been collected by CompareCards and has not been reviewed or provided by the issuer of this card prior to publication. What we like: Earn 60,000 bonus points after you spend $4,000 on purchases in the first 3 months from account opening. That converts into $750 that you can use for travel at the Chase Ultimate Rewards® website. Cardmembers earn 2X points on travel and dining at restaurants & 1 point per dollar spent on all other purchases worldwide, with a reasonable annual fee of $95. 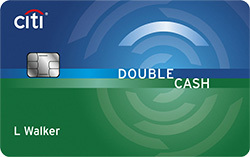 Although the travel-related rewards earned on the Chase Sapphire Preferred® Card are lower than most of the hotel-branded credit cards, you end up getting a bigger bang for your buck through the Chase Ultimate Rewards® website — you get 25% more value for your points when you redeem them for travel there. Plus, you can book a flight on any airline using your Chase points, with no blackout dates. Another good benefit with the Chase Sapphire Preferred® Card is you can transfer your points 1:1 to nine airline and four hotel loyalty programs — Aer Lingus AerClub, British Airways Executive Club, Flying Blue AIR FRANCE KLM, Iberia Plus, JetBlue TrueBlue, Singapore Airlines, Southwest Rapid Rewards, United MileagePlus, Virgin Atlantic Flying Club, IHG Rewards Club, Marriott Rewards, The Ritz-Carlton Rewards and World of Hyatt — via Chase Ultimate Rewards®. The Chase Sapphire Preferred® Card has perks that don’t come with some of the hotel credit cards, including trip cancellation/interruption insurance, auto rental collision damage waiver, baggage delay insurance, trip delay reimbursement and travel and emergency assistance services. You also get purchase protection and extended warranty protection. Things to watch out for: The points per $1 spent you earn for hotels, along with the popular travel, dining, groceries and gas are lower than other cards. In addition, other cards offer much higher sign-up bonuses. 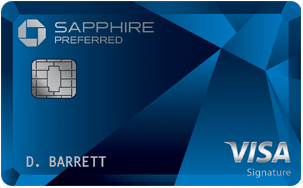 Read our full review of the Chase Sapphire Preferred® Card. What we like: The Capital One® Venture® Rewards Credit Card starts with a One-time bonus of 50,000 miles once you spend $3,000 on purchases within 3 months from account opening, equal to $500 in travel. You earn 2 Miles per dollar on every purchase, every day. You also earn 10 miles per $1 spent when you use the card to book rooms at Hotels.com/Venture. This is one of four travel-branded Capital One credit cards that allow cardmembers to transfer the miles they earn to 14 travel loyalty programs, with more partners coming. You can pay for travel booked on the website or app of any airline, hotel, rental cars and more using the Purchase Eraser feature, which gives you an account credit for what you spend. The Capital One® Venture® Rewards Credit Card gives you simple flexibility in how you redeem your miles. You can pay for travel booked on the website or app of any airline, hotel, rental cars and more using the Purchase Eraser feature, which gives you an account credit for what you spend. You can also book travel with your miles directly at capitalone.com, or you can just redeem them for a check, an account credit or gift cards. The perks that come with this card, under the Visa Signature® banner, are OK. It comes with free upgrades and savings at hotels, resorts and spas; access to Visa Signature® Concierge 24 hours a day from home and when you travel; auto rental collision damage waiver; discounts at retailers and online merchants; and extended warranty protection. Things to watch out for: The card has an annual fee of $0 intro for first year; $95 after that. It offers much lower miles per $1 spent on travel, including hotels (minus those booked at hotels.com/venture), than many reward-based cards. There are cards that have more perks. 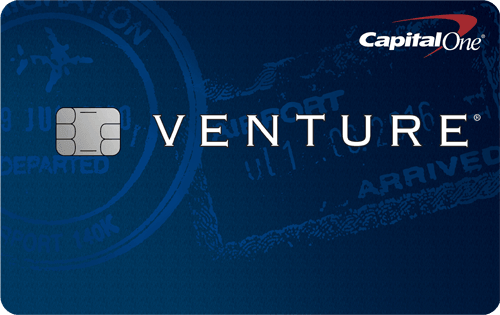 Read our full review of the Capital One® Venture® Rewards Credit Card. The good news is that you have plenty of options when it comes to choosing a hotel-branded credit card. We’ve covered everything from a luxury card with all the bells and whistles down to ones that give you fewer points for a lower annual fee. The questions you need to ask before making a decision are: how much is the annual fee; how many points per $1 spent on hotels and categories like travel, supermarkets and gas; what’s the sign-up bonus; how easy is it to use your points for hotel nights; can points be transferred to airline partners; what other ways can you spend the points you earn; and what perks come with the card. Finally, make sure the points you earn and the perks that come with a hotel-branded credit card balance out with the annual fee you’ll pay to hold it. If it doesn’t, or you just want more flexibility on how you earn and redeem your points, then a travel-branded card that includes hotel benefits may be a better option.